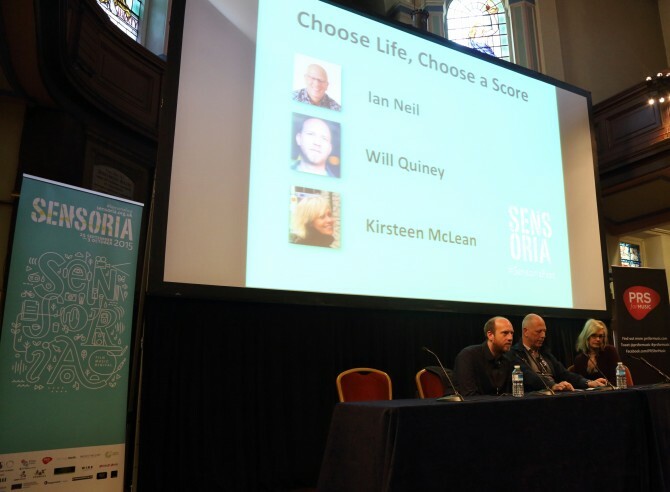 ‘Choose Life, Choose A Score’ at SensoriaPro 2015 was a unique opportunity for registered delegates to score or place music to the opening scene from the film Trainspotting. 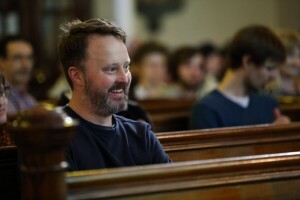 Submissions were critiqued on the day by a panel of industry experts featuring Ian Neil (Sony), Will Quiney (Empire Design) and Kirsteen McLean (Discovery). Winning track in the source category was Vagabond Train by No Money Kids, an electro-blues duo from Paris. Barry Connolly, Head of Sync Licensing at Smalltown America Music picked the track and attended SensoriaPro for the first time this year. “Sensoria is a fantastic event. 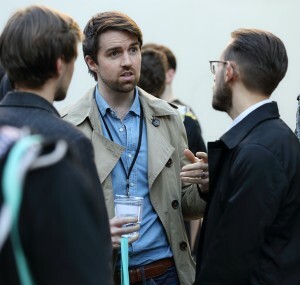 A lot of the other bigger music conferences charge a lot with the promise of seeing and meeting so many people to make connections with. In reality, it becomes so overwhelming that you what you get out of it doesn’t match up to the investment. The Scoring Contest was great for me. Winner of the score category was composer/producer Tim Dickinson (Flux Music).